Authorizing the Dakota Access Pipeline project doesn't exactly mark the first time that Donald Trump has come to blows with Native Americans. 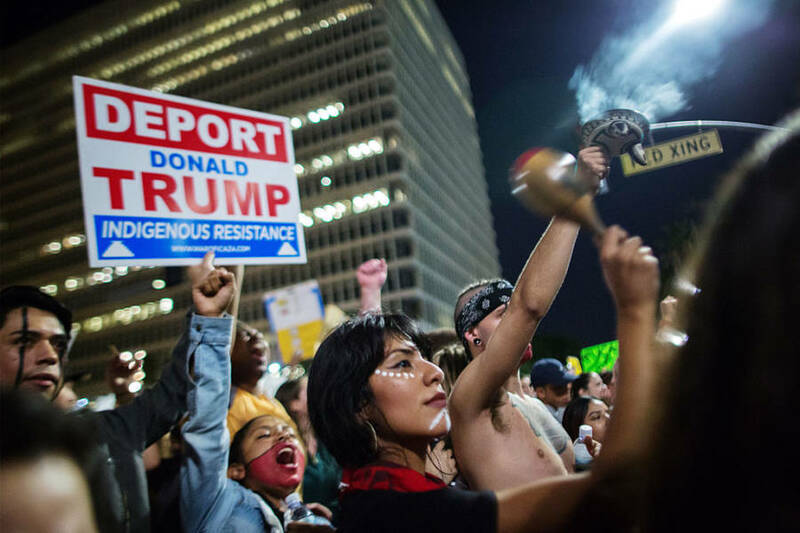 Last week, authorities forcibly removed the remaining protestors from the largest Dakota Access Pipeline protest camp in order to proceed with the controversial construction project, which Donald Trump authorized in late January. This is unlikely to be the last time that Trump will clash with Native Americans. After all, it certainly isn’t the first. The president has been making inflammatory statements about native people for decades — once prompting Congressman George Miller to thank God that the rights of minorities in America did not depend on Trump. Nearly two months into the new administration and it seems Miller’s worst fears may come true. Looking back at some of Trump’s history with America’s indigenous tribes, one can only hope it isn’t indicative of what lies ahead. The conflict stretches back to the 1980s, when Trump was heavily investing in the casino business along the East Coast. When a 1988 federal law opened the door for more Native American gambling facilities, Trump — afraid of the competition — embarked on an anti-Native American lobbying effort. He also took the opportunity to begin questioning the veracity of their claims to indigenous heritage, based largely on skin color. “I think I might have more Indian blood than a lot of the so-called Indians that are trying to open up the reservations,” he said, apparently unaware of the long, interconnected history of African- and Native Americans. The radio host suggested that the tribe members looked like Michael Jordan. A few months later, Trump was called to testify on Native American gaming on Capitol Hill. He arrived with a seven-page prepared speech, which included a statement admitting that his previous claims about mob activity on reservations had been unfounded. “The air came out of the room,” said Robert Torricelli, a senator who had been sitting next to Trump. “Thank God that’s not the test of whether or not people have rights in this country — whether or not they pass your ‘look’ test,” Miller responded. Trump went on to question why Native Americans don’t have to pay taxes. In 2000, the state of New York was considering new regulations that would expand the reach of Native American casinos in the Catskill Mountains. Suddenly, ads popped up in newspapers, TV and radio, claiming that the Mohawk Indian tribe was filled with criminals, tied to the mob, and encouraged divorce, drug use, bankruptcy, and violence. “Are these the new neighbors we want?” the lobbying effort asked, showing photos of cocaine and syringes. The ads claimed to be sponsored by the Institute for Law and Safety, which was supposedly funded by “grass-roots, pro-family” donors. But, alas, the Institute for Law and Safety was not a real thing. Trump had paid more than $1 million for the campaign. After an investigation into the matter, the state fined Trump a record $250,000 and ordered him to apologize. While all of this transpired, Trump was negotiating a deal with a different Native American tribe. He had agreed to pay the costs of documenting the tribe’s lineage and hired lobbyists so that the federal government would recognize them. In exchange, he would receive a managing fee for the tribe’s future casinos. The deal ended up falling through. Trump sued the tribe and, for a while, even refused to pay the lobbyists. Two decades later, Trump defended his stance on what Native Americans should or should not look like in an interview with Forbes. 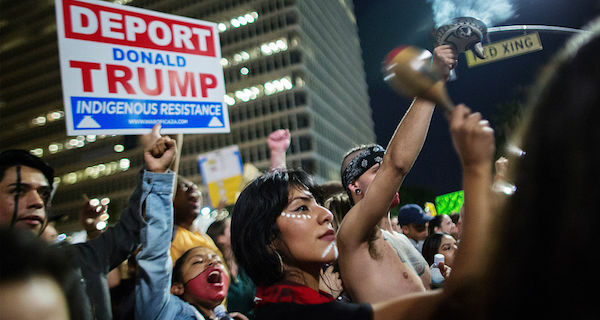 David McNew/Getty ImagesNative Americans protest the upset election of Donald Trump. 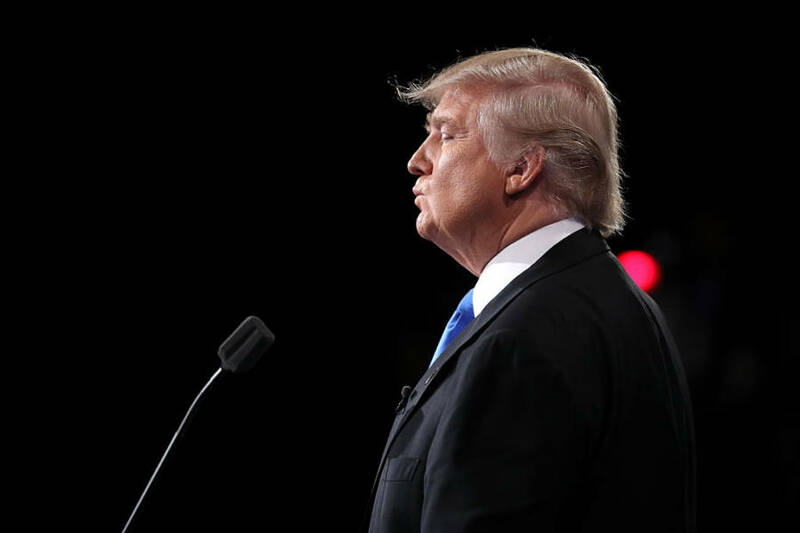 During the 2016 presidential campaign, Trump took to calling Senator Elizabeth Warren “Pocahontas,” stemming from Warren’s questionable claims to having Native American ancestry. Trump used the Pocahontas nickname frequently on the campaign trail — inciting racist mock-Indian war chants from his supporters. Next, learn about the Native American genocide and its legacy of oppression today. Then, check out these Native American fashion designers who are using style to shatter stereotypes.